Hankering for just skateboard vids and corgis? Insta's got you. Fresh from revamping its recommendations tab in April, Instagram is leaning hard into moving pictures by adding super-specific video categories for you to peruse. Instagram's upgraded "Picked for You" channels beefs up its Explore tab - which helps find accounts for users to follow based on their interests - with a range of video content tailored to your exact tastes. 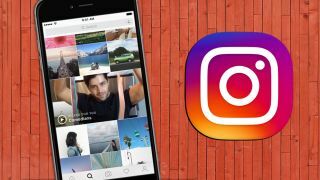 While only available in the US at the time of writing, Instagram plans to roll out its new categories worldwide in due time. The types of recommendations Instagram put together are vaguely Netflixian, with both broader crowd-pleasers like comedians and athletes, to more niche genres like makeup tutorials, barbers, cake decorators, and comic book artists. The Facebook-owned app has seen a recent return on video content since the feature launched in 2013, with the company announcing that the total time spent watching video through Instagram increased 150% in the last six months alone. Facebook and Instagram aren't alone in the big push for video, however, with YouTube stepping up its own recommendations on mobile and Twitter doubling down on its own video uploads. We just just hope our data plans will be able to keep up with all that content when browsing our social media on the go.